In Ontario, we are lucky to benefit from many wonderful recycling programs. However, not all items that need to be recycled can simply be placed outside for pickup. For industrial scrap metal recycling, as well as CRV recycling, you need go to Ecology’s Fontana Recycling Center. For loads large and small, you can drop them off at our conveniently located recycling center near the city of Ontario. And for large, industrial loads, we can arrange for pickup. Ecology opts for a user-friendly model, allowing you to be part of the recycling process and receive your redemption quickly. If you are in Ontario, protecting the environment is easy when you stop by our recycling center. 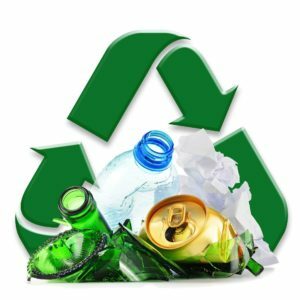 Most of us know that recycling is good for the environment, but we only know this a general sense. As for the specifics, we tend to be a bit fuzzy. However, we want you to know more about why you should recycle so you will be more motivated to do so whenever possible. First, all trash pollutes, especially anything that takes a long time to break down, such as scrap metal and CRV items. When garbage is taken to the landfill, it is dumped and left to sit. When items are recycled, it means we avoid putting stress on the environment from mining new materials. Logging and heavy water use are also avoided, protecting the air, water, and natural habitats. The recycling process uses less energy than creating new materials. Because most energy sources used in manufacturing are not environmentally friendly, this reduces toxic waste and gasses. Finally, when you recycle, you are redeeming the California Refund Value(CRV). This is a direct way that recycling benefits you, and we hope that it provides the motivation you need. Here at Ecology, we are happy to pay you well for your scrap metal and CRV recycling. What is scrap metal? In simple terms, it’s any metal that you no longer have a use for. This could be an old refrigerator that no longer works, parts of your car that have been replaced, wiring removed during a renovation, and even a rusted bike you haven’t ridden in years. If you have any scrap metal, no matter how large or small, our recycling center will buy it. Scrap metals fall into one of two categories: ferrous and non-ferrous metals. These two types are composed of different elements. As such, they are recycled differently and have different values when it comes to compensation. Ecology’s recycling center near Ontario accepts ferrous and non-ferrous metals. Want to know if your scrap metal is ferrous? Grab a magnet; if it is attracted to the metal, it is ferrous. Ferrous metal contains iron and steel. This type of metal is used in many applications, including in cars, appliances, construction, and manufacturing. However, we don’t require you to separate ferrous and non-ferrous metals; we do that for you. To accomplish this task, we use a giant magnet located at our recycling center. This attracts ferrous metals and pulls them away from the non-ferrous metals. As always, our goal is to make certain that recycling is easy for you. It’s important to note that ferrous metals have a lower value than non-ferrous metals. Still, you should always recycle them to protect the environment. Plus, you will still earn money in the process, which is more than you would get if you simply trashed the metal. Non-ferrous metals are composed of metals other than steel and iron. In some cases, there may be a small amount of steel or iron present, but it should not be enough to magnetize it. Some non-ferrous metals are bronze, aluminum, copper, and stainless steel. These metals are used for many purposes and can be found in everything from bikes to plumbing systems. Non-ferrous metals are highly desired by those looking to used recycled materials. Because of this, they receive greater compensation when you recycle them. Our Fontana recycling center is happy to take all of your scrap metal off your hands, whether it’s ferrous or non-ferrous. California is a national leader when it comes to its initiatives to protect the environment. Because of this, there is a major focus on recycling in the state as a whole, and in Ontario in particular. One program designed to help with recycling is the CRV program. This program is designed to motivate both private citizens and businesses to recycle more by compensating them when they do. The CRV program provides compensation when recycling certain beverage packaging items. This includes aluminum cans and glass bottles. Not included in the program are products not intended for human consumption, not in liquid or ready-to-drink form, and not made of aluminum, glass, plastic, or bimetal. Ecology is proud to participate in the CRV program. Simply bring your CRV items to our recycling center. How does the compensation part of the program work? When you purchase a product with CRV packaging, you pay a small fee for it. When you recycle the CRV item, you get that money back. In essence, if you throw away a CRV item, you throw your own money away. Lots of under 50 items are processed per item, but those greater than 50 items are processed by weight. We are happy to accept all clean and dry CRV recycling at our recycling facility, just a short drive from Ontario. At Ecology, we want to help both private citizens and corporations meet their recycling goals, helping the environment and earning money. To reach our goal, we set up our Fontana recycling center so it’s easy to get to and easy for you to work with. We encourage private citizens to turn their recycling efforts into a neighborhood initiative, making it more worth their while to make frequent trips to our center. And for those with industrial recycling needs, we offer a tailored service. If you have large amounts of recycling, we offer roll-off bins that we deliver to your location. Once the bin or bins are full, we take them away and replace them with an empty bin or bins. We can do this as often as needed, even multiple times a day. We carry these bins in many different sizes, ensuring we have exactly what you need. We wish that we could recycle everything, but ultimately, we have our limits. Due to health concerns and the capabilities of our facility, there are some items we cannot process. Below are the items we do not accept. If you are uncertain about an item, call and ask if we can process it. Ecology wants to improve the quality of life for Ontario residents by helping them keep their city clean and healthy—while also helping them earn some money. No matter how large or small your lot of recyclables is, we are happy to process it for you. If you want to learn more about what we do or our current compensation rates, stop in at our center or give us a call. We cannot wait to help you.